Chambers Bay reserves the rights to modify access of the golf course due to tournament/events, course maintenance or other reasons deemed necessary. 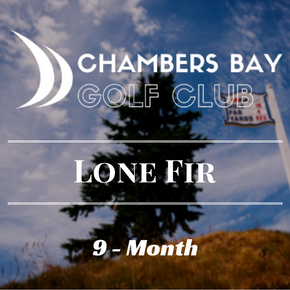 The Lone Fir Membership does not guarantee availability or access to starting times. Check with Golf Shop regarding availability. Benefits including golf rounds are non-transferable.